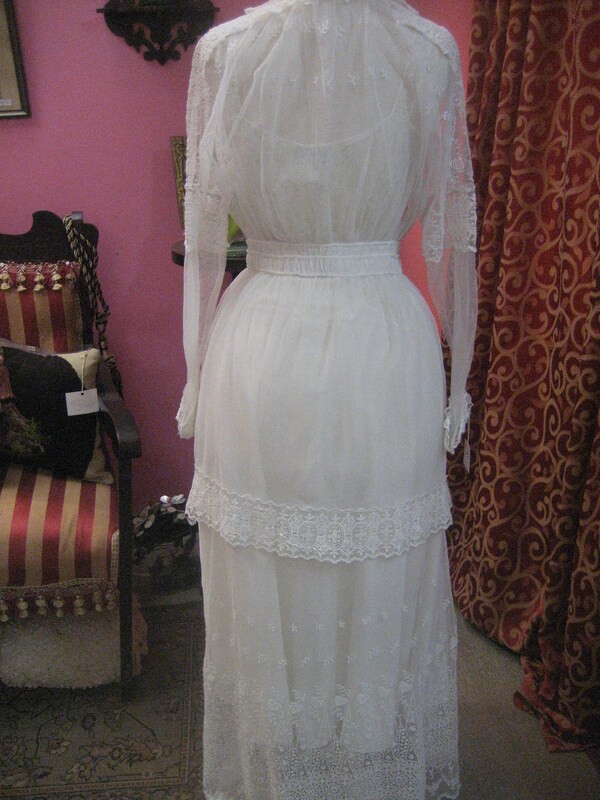 1914, 36 bust , elaborate cotton lace on net, wedding dress. 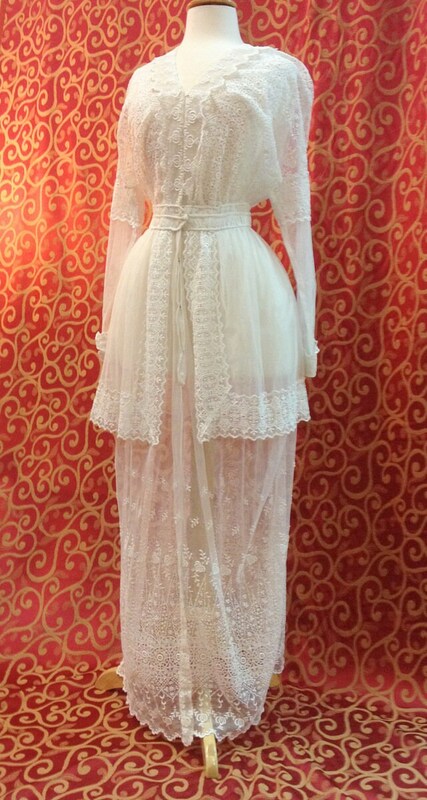 1914, 36" bust , elaborate cotton lace on net, wedding dress. 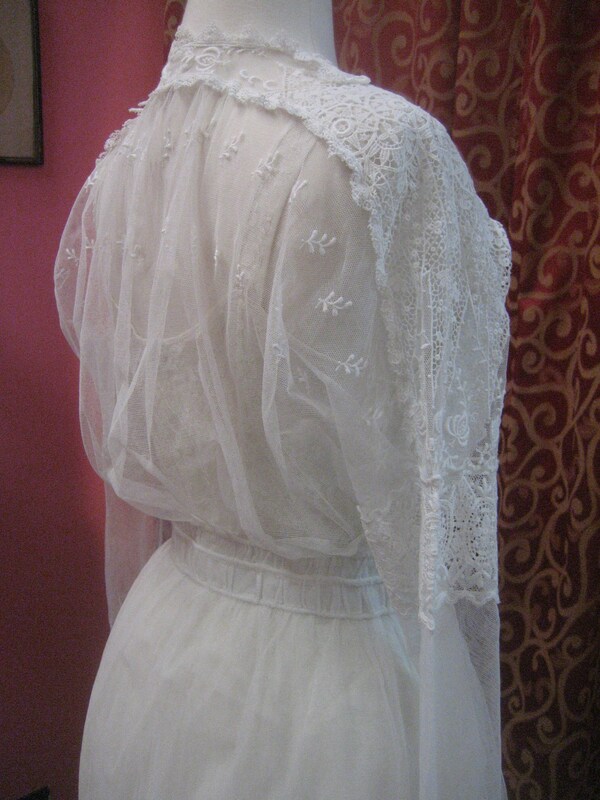 1914, 36" bust , elaborate cotton lace on net, wedding dress. 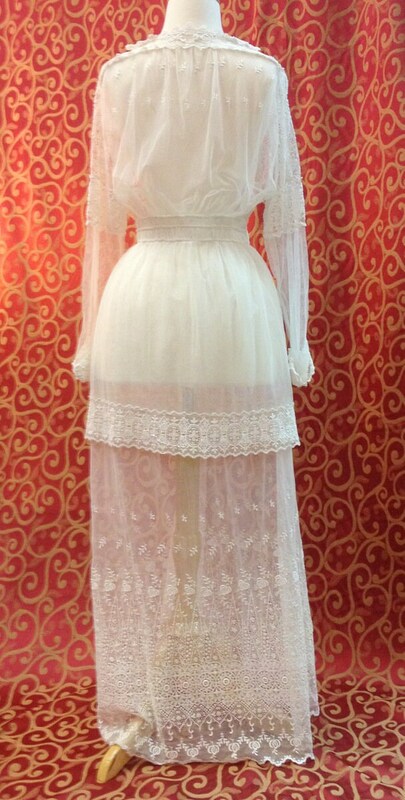 dress has lace edged net apron, beneath belt, around hips. 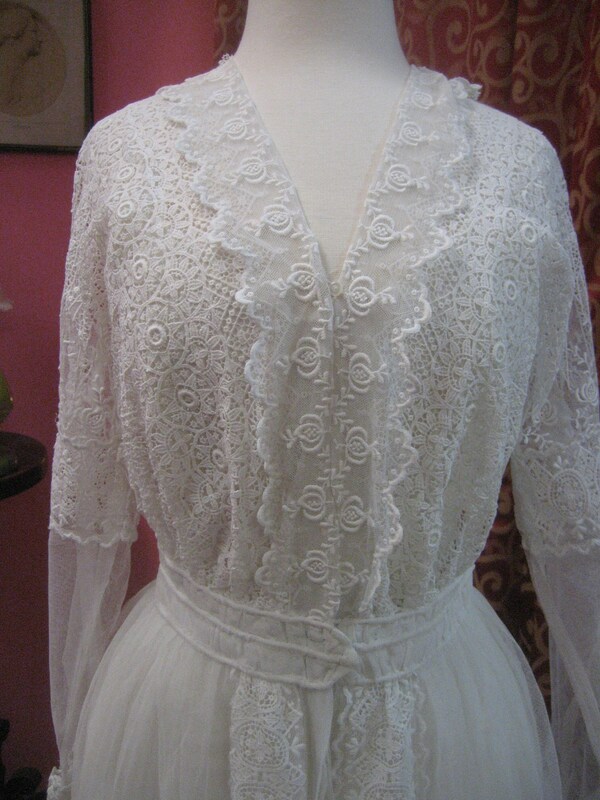 Bodice is entirely worked in lace, and has a narrow lace ruffle edged alone V shaped neckline. 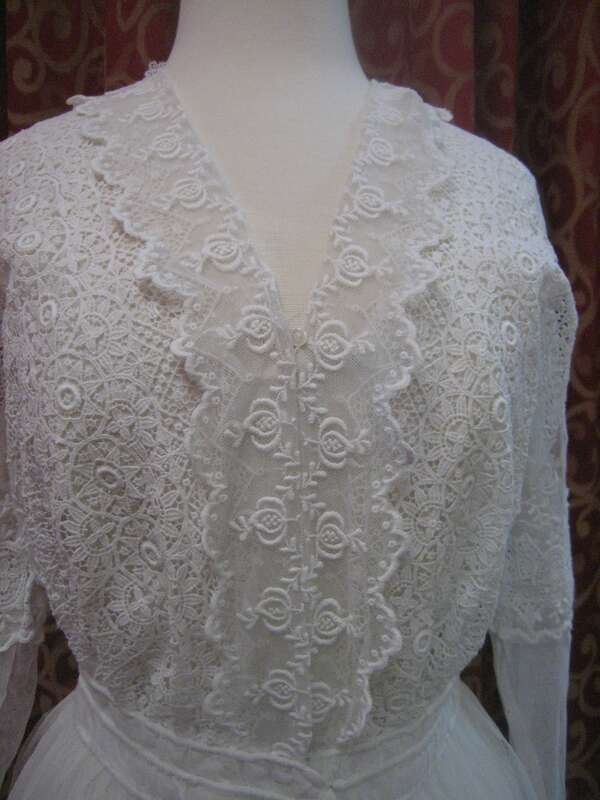 Sleeves are long with lace cuffs, with a net middle, and a lace band around the upper arm. 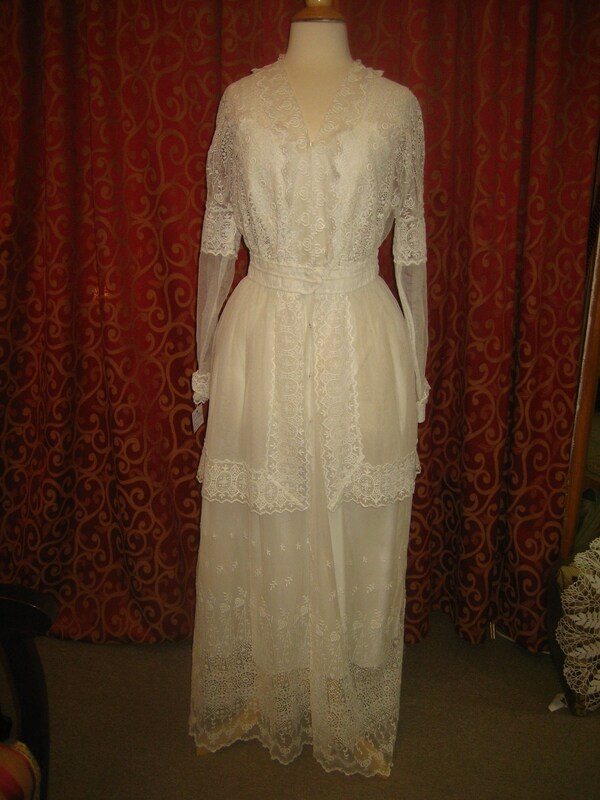 The gown is fastened in front with hooks and eyes from bodice to waist, and snaps from waist to thigh.